Co-sponsors of media platform Daandii Bosontuu call for financial support to allow the initiative to continue and develop. Daandii Bosontuu is a media source giving voice to Oromo culture and heritage. A fundraising page has been set up to assist in the preservation of this effort. 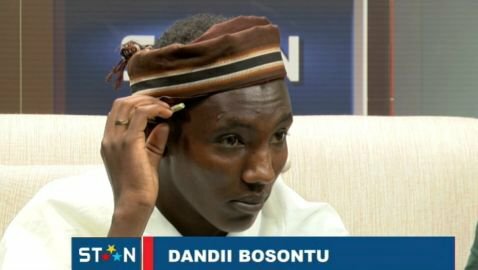 Let’s show our solidarity and support to Daandii Bosontuu. The wider Oromo presence on media in the Horn of Africa makes the Oromo people more active on all regional affairs and also gives them more visibility in the region. Daandii Bosontuu is one of such a platform striving to bring the voice of the Oromo to the regional and global audience by featuring its grounded programs focusing on the Borana Oromo argaa dhageettii, culture, tradition, and ways of life in northern Kenya and southern Ethiopia. So far, it did feature many programs, including on the Oromo Gadaa system – which has recently been inscribed by UNESCO as one of the intangible heritages of humanity. Daandii Bosontuu aspires to amplify the voice of the Oromo in that part of the Horn. Oromos and friends of Oromo in/from Oromia should extend our solidarity to and support Daandii Bosontuu’s endeavors. This crowd fundraiser is created to show our solidarity and support to this novel work of the team at Daandii Bosontuu. A dollar we donate means a lot in showing your solidarity and support. To contribute to this noble cause, click here (GoFundMe.com).